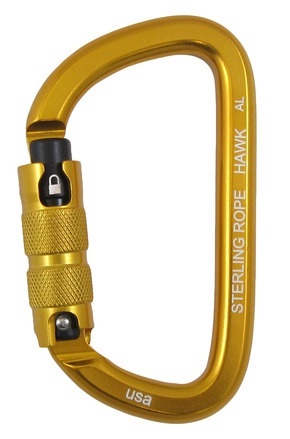 The Hawk AL is a 3-stage, asymmetrical D-shaped carabiner. Crafted from high strength 7075-T6 aluminum, the Hawk is strong and lightweight. The D-shape aligns loads along the spine, giving this carabiner a higher MBS over oval and pear carabiners.